This siggis yogurt review was inspired by my walk through the supermarket. I am constantly blown away by how much changes on a monthly basis in the dairy cooler. Siggis is a Icelandic style yogurt (Skyr) and I have never been to Iceland (or had yogurt in Iceland) so I have no idea how it compares to the yogurt there. What I do know is how Siggis compares to yogurt here.It should be compared to Greek yogurt (also I have been to Greece but I didnt try the yogurt ooops) because of they high amount of protein in a cup. I have been invited to meet Siggi Himarsson (and actual person) twice and I have never been free. He attended Columbia Business School in New York and saw an opportunity in the yogurt world. He felt that our yogurt had too much sugar added heck, yeah! If I finally get free and attend a meet and greet with him I think I would say something like, Thank you! because he has provided the market with a great product. You can see (above) that Siggi makes sure that you know what is not in his yogurt. It does have a lot less sugar than many of the major brands. It averages 11 grams of sugar for 5.3 ounces (and other brands start at 13 -15 grams). 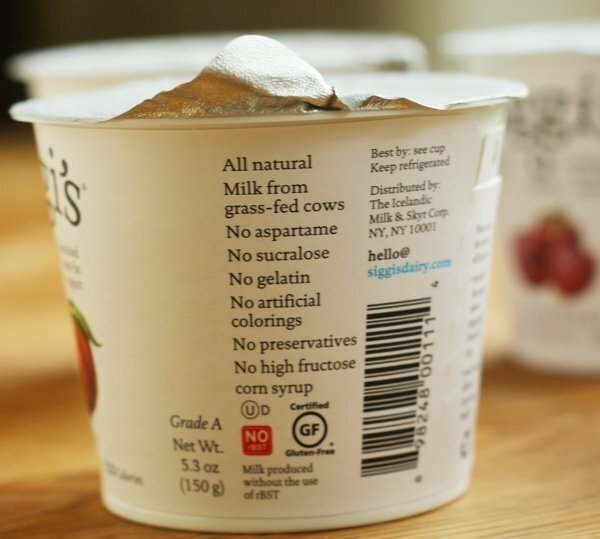 Siggis is thick and creamy and some also think it is chalky (like Greek yogurt). I find it sour but I love it. It has more flavor than most yogurts.There is a TANG to it which is truly delicious. The non-fat versions have about 20 less calories and taste pretty good but I like the one with a little fat in it. I find these quite satisfying. Siggis used to be in a higher price range than Chobani or Dannon but I found it at 5 for $5 last week. I think if you look for sales you can find it at a comparable price. It is in Target and regular supermarkets (used to be only in Whole Foods). 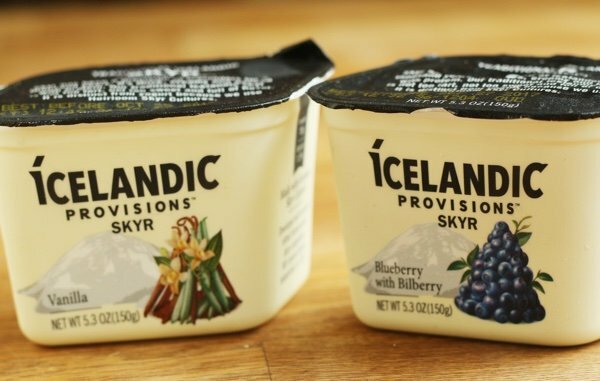 This one featured that it was Made with Heirloom Skyr Cultures – developed with Iceland’s oldest farmer-owned dairy cooperative. Wow!